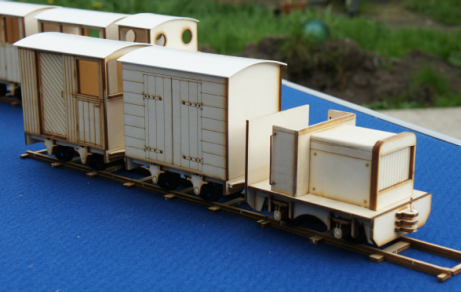 We have looked around the 16 mm scene and have notice that as with all other scales there is not a train set available so at IP Engineering we have come up with this Starter Train set. Mostly made from wood has all parts included including a circle of track which is not designed for heavy work ie steam loco’s but this is made so it can be used indoors on a small coffee table or flat surface it has got a radius of 300 mm or 12 inches the track locks together and we supply straights also I required. 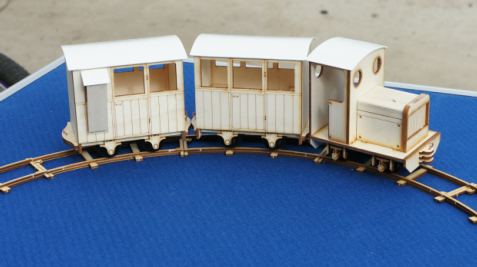 The train comprises of an Albert loco kit one passenger coach kit and a guards luggage coach kit if you need to see the specifications of these see products in Ezee range. We have looked around the 16 mm scene and have notice that as with all other scales there is not a train set available so at IP Engineering we have come up with this Starter Train set. 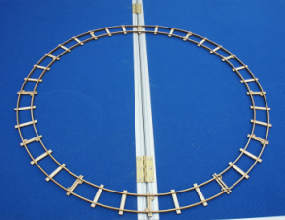 Mostly made from wood has all parts included including a circle of track which is not designed for heavy work ie steam loco’s but this is made so it can be used indoors on a small coffee table or flat surface it has got a radius of 300 mm or 12 inches the track locks together and we supply straights also I required. 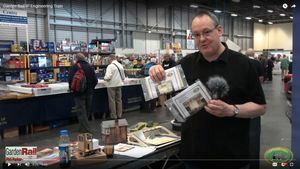 The train comprises of an Victoria loco kit Goods Van kit and a guards van kit if you need to see the specifications of these see products in Ezee range.